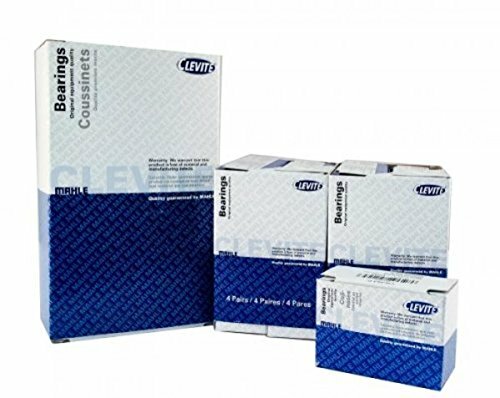 Carrying on a tradition of durability and dependability, Clevite Bimetal (aluminium) engine bearings feature 100% lead-free aluminium silicon. Engineered with 60% more silicon than comparable competitive replacements, they provide better conditioning of journal surfaces. This results in greater seizure and wear resistance. 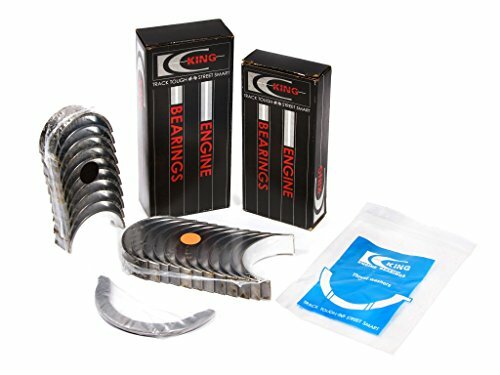 Engine Bearing Set Crankshaft Main Bearings - Standard Size Connecting Rod Bearings - Standard Size Thrust Washer Part Numbers: MB8361, RB8365, TW1689 Product Fitments: 2000-2001 TOYOTA CAMRY 2.2L 2164CC L4 CNG DOHC, (16 VALVE), ENG. CODE "5SFE" 1992-2001 TOYOTA CAMRY 2.2L 2164CC L4 DOHC, (16 VALVE), ENG. CODE "5SFE" 1990-1999 TOYOTA CELICA 2.2L 2164CC L4 DOHC, (16 VALVE), ENG. CODE "5SFE" 1991-1995 TOYOTA MR2 2.2L 2164CC L4 DOHC, (16 VALVE), ENG. CODE "5SFE" 1996-2000 TOYOTA RAV4 2.0L 1998CC 122CID L4 DOHC, (16 VALVE), ENG. CODE "3SFE" 1999-2001 TOYOTA SOLARA 2.2L 2164CC L4 DOHC, (16 VALVE), ENG. 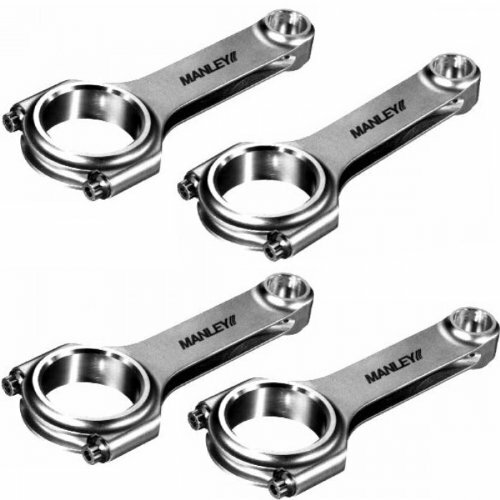 CODE "5SFE"
Carrying on a tradition of durability and dependability, Clevite Bimetal (aluminum) engine bearings feature 100% lead-free aluminum silicon. Engineered with 60% more silicon than comparable competitive replacements, they provide better conditioning of journal surfaces. This results in greater seizure and wear resistance. 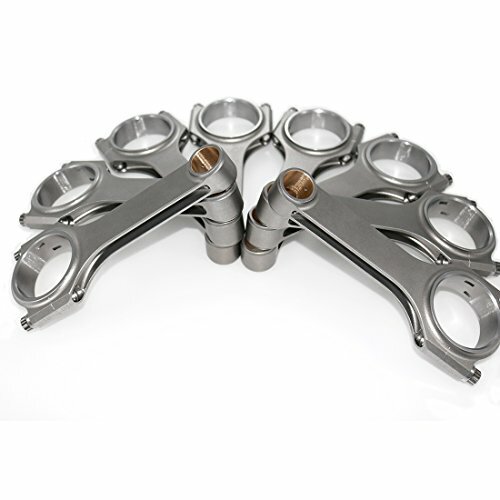 Ideal for rebuilding engines where more demanding use is anticipated, such as heavy duty, motorsports, or street performance. 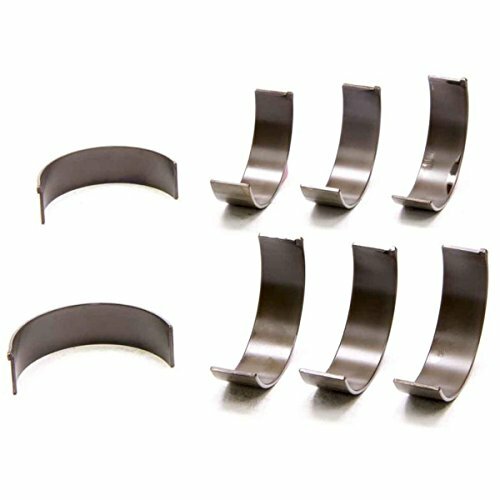 As it is the most versatile replacement engine bearing, P-Series is suitable for most OE applications. 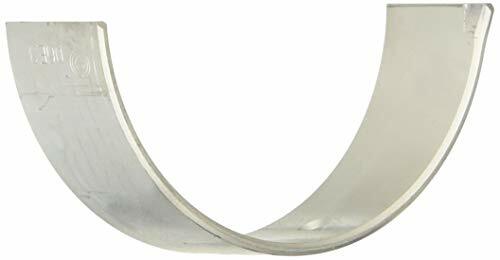 Due to the increased load capacity of the TriMetal design, it is a suitable upgrade from Bimetal engine bearings. 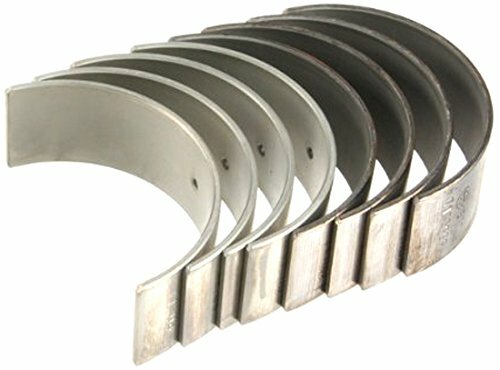 ACL Race Series Connecting Rod Bearings: The unique combination of design, metallurgy and engineering come together to deliver what drivers expect from high performance Trimetal engine bearings.Designed to withstand higher RPM conditions, ACL Race Series Connecting Rod Bearings are available for many of the popular 4, 6 & 8 cylinder applications and feature:High strength overlay plate* with reduced thickness for improved fatigue propertiesHardened steel backs* on all rod bearings to improve the support of the bearing lining and assist with bearing retention in the housing.Increased crush* for improved bearing retentionElimination of flash plating* on the back of the bearings to improve heat transfer through the bearings and to maximize the grip between the bearings and its housing.Increased eccentricity* to compensate for bore distortion at high rpm and to assist in the formation of hydrodynamic oil films.Tight consistent wall tolerances* to help you maintain consistent clearances.Enlarged ID chamfers* on bearing edges where required to accommodate large fillet radius on performance crankshafts. 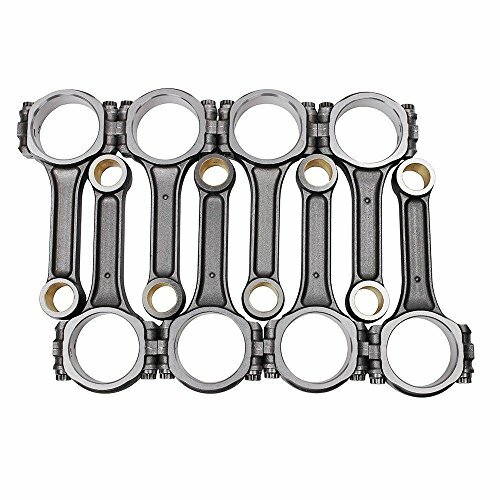 This listing is for eight (8) Clevite 77 Connecting rod bearings and (1) Main Bearing set STD size for 2003-2009 Ford models with the 6.0L Powerstroke Diesel V-8 engine. 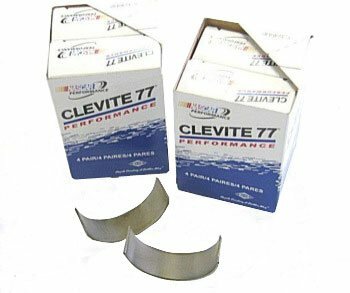 Clevite 77 bearings the most versatile replacement engine bearing, P-Series is suitable for most OE applications. Due to the increased load capacity of the Tri-Metal design, it is a suitable upgrade from Bi-Metal engine bearings. Cuisenaire Rods help students transition from concrete to abstract representation of math concepts. Each color represents a different Rod length that can be assigned a different numeric value or unit of measure. Great for improving CCSS skills such as fractions, measurement and more. Watch as John Edwards @ Costa Mesa R&D Automotive Machine Shop takes a set of D16 Honda rods and lightens them on the engine lathe. He removed over 40 grams of material! (949) 631-6376 Don't forget o 'Click' and SUBSCRIBE! 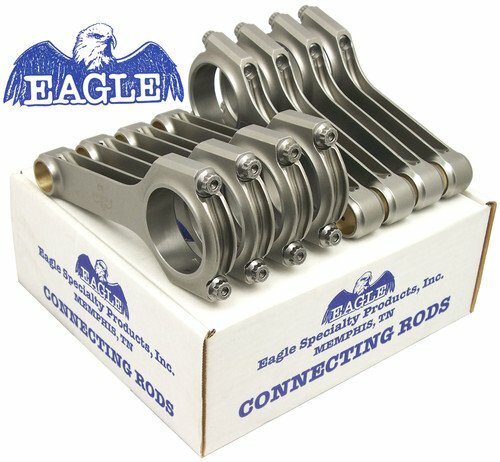 Looking for more Connecting Rod Set similar ideas? Try to explore these searches: Double Framed Photograph, Combat Shorts Woodland Camo, and Series Long Sleeve Tee. 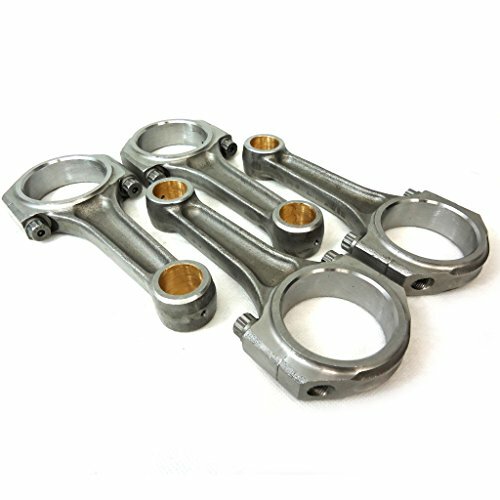 BlesDeal.com is the smartest way for online shopping: compare prices of leading online stores for best Connecting Rod Set gift ideas, Connecting Rod Set deals, and popular accessories. Don't miss TOP deals updated daily.